Art Lellis and Jerry Moffatt created some outstanding Restyled Cars at their Olive Hill Garage in Los Angeles. We know very little about this mysterious Body Shop, lets try to get some more info. There is very little known about this shop. 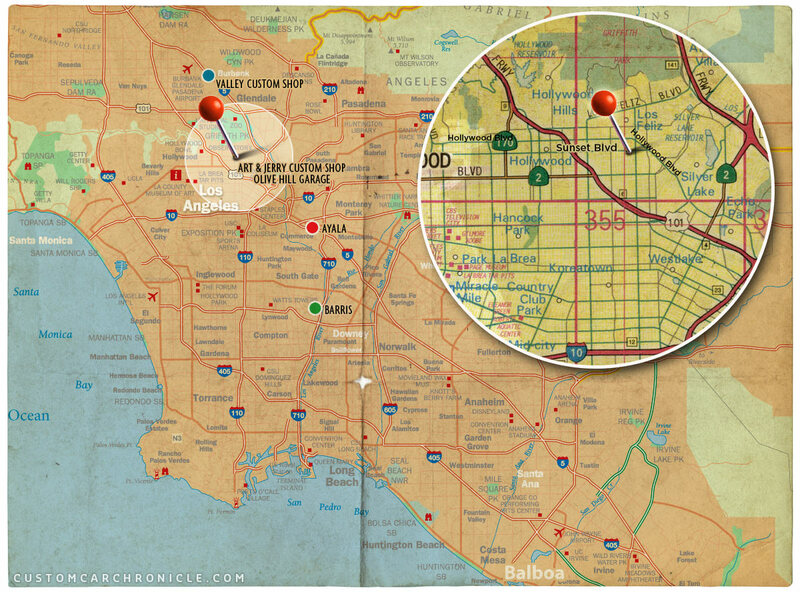 So far I have not been able to find any photos from the actual shop located on 4720 Sunset Blvd in Los Angeles. And so far we only know about four cars created by the shop. But according to some, they were a well known shop in the early/mid 1940’s and they did a lot of work, high quality work. According to Pat Ganahl’s American Custom Car book, metal-man Chuck Porter, who would later have his own body shop in Hollywood was an employee at the Olive Hill Garage, possibly learning the trade there. Porter later created his well known (and still around and completely restored) chopped and sectioned 50 Ford F-100 painted pale yellow shop truck. 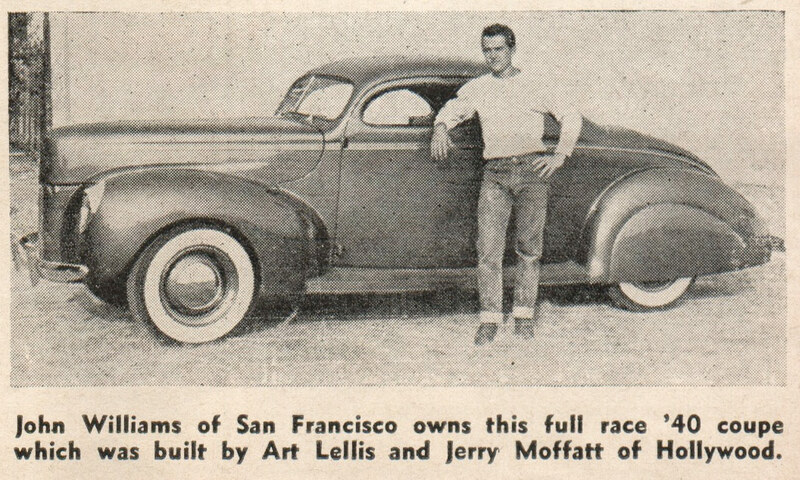 September 1948 issue of Hot Rod magazine featured both Art’s and Jerry’s ’39 Ford in the magazine. The double feature had a big impact on many custom car owner. Art and Jerry are best known for their similar restyled chopped and channeled 1939 Ford Convertibles created for them selves in around 1946. 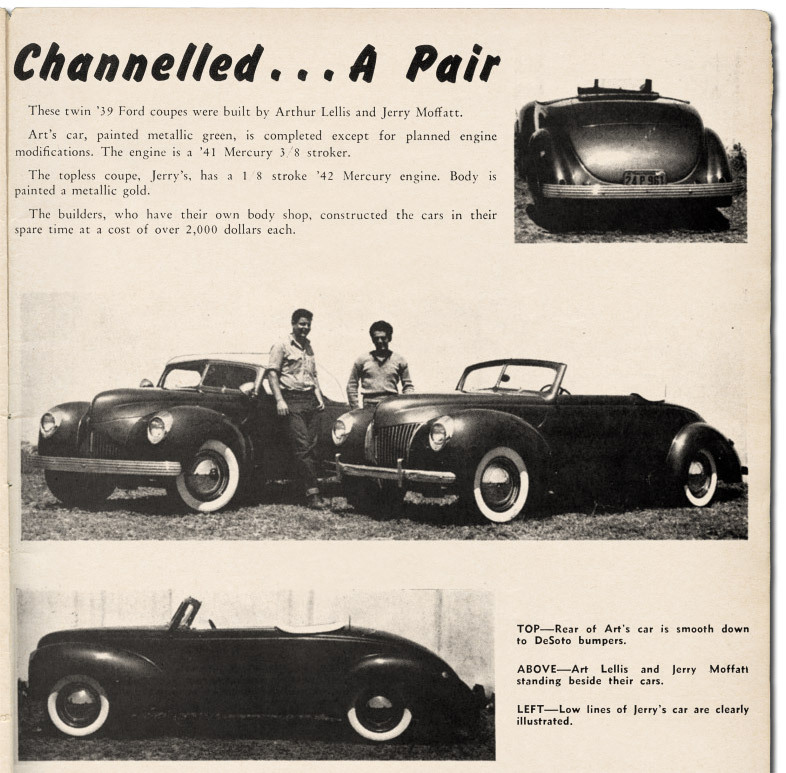 Both cars were featured in the September 1948 issue of Hot Rod magazine in an 3/4 page article titled Channeled…A Pair. Art’s ’39 Ford had a aftermarket grille cover over the stock grille, had bubble fender skirts and had a panoramic rear windowed Padded top, his car was painted Metallic green. Jerry’s ’39 Ford had the stock grille, had no skirts mounted and was painted metallic gold. It is said that the finished cars, bright metallic painted beauties were always carefully parked outside the shop so that the passing cars on Sunset Blvd all could see the car the best way possible. Hoping to draw new customers. 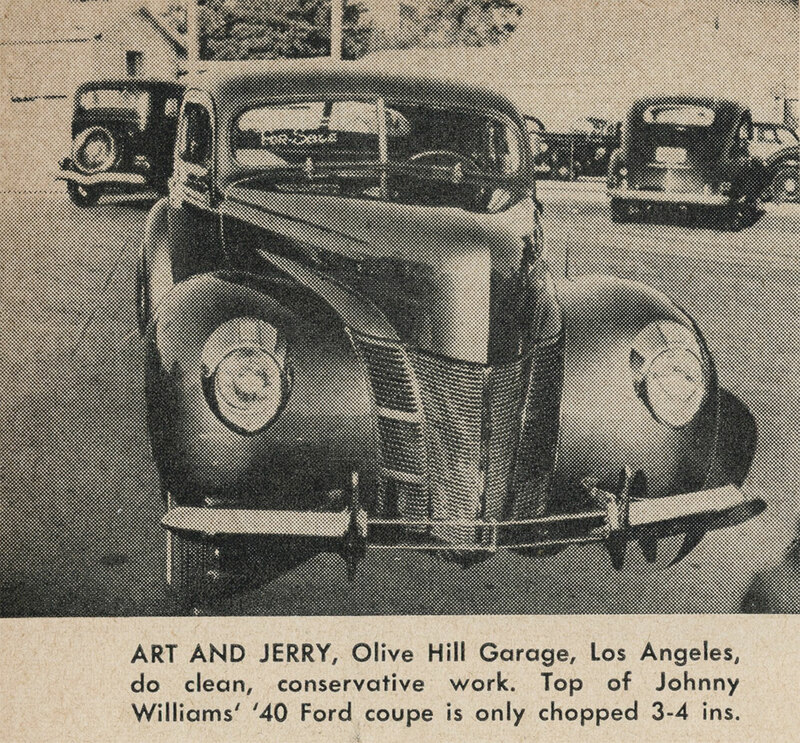 Amazingly both Art and Jerry’s ’39 Ford have survived and are both restored. Jerry’s Ford is now painted Candy Apple red, but otherwise mostly the same. Art’s car was sold to a new owner on the east coast in the early 1950’s and has since then changed a bit more than Jerry’s Car. It has a complete new front end and many other different details, Jerry’s custom is For Sale in 2017. Art Lellis on the left and Jerry Moffatt on the right posing with their great looking and well balanced custom cars. Art’s Ford was channeled four inches over the frame and the running boards were removed. The windhield was chopped three inches. The front fenders were raised tto make sure the wheels could still turn. The hood was sectioned to fit the new fenders and body height. The rear fenders were modified with slightly larger wheel openings and fitted with teardrop shaped fender skirts. All handles and chrome trim was removed from the car. The grille on Art’s Ford was partly covered with an aftermarket grille cover. Stock bumpers were replaced with ’37 De Soto units and the stock ’39 Ford headlights had to go to make place for more modern looking 1940 Ford units. A bench seat taken from an early 1940s GM car was modified to fit and covered in pleated leather and matching door panels. The dash was modified to house a full set of matching, Stewart Warner gauges. When done the was was painted a beautiful Metallic green. Jerry’s Ford used a ’37 DeSoto bumper, 1940 Ford headlights, and Eastern aftermarket grille cover that created a much smaller and new shaped grille opening. A set of Appleton Spotlight, wide white wall tires and single bar flipper hubcaps were added to ad more class. Side view shows how the body was channeled over the frame the same amount of the height of the running boards. The bottom of the body is now level with the bottom of the fender and the hood is sectioned to match. 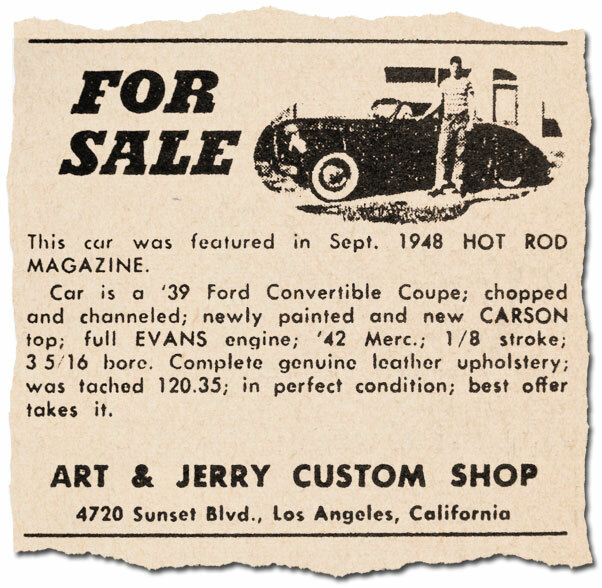 Hot Rod Magazine Ad Art Lellis ran to help sell his ’39 Ford. This is the only published material I have been able to find with the name of the shop as well as the location where the shop was. There was no mentioning of the the Olive Hill Garage though. Actor Alan Young (mr. Ed) owned the car in the late 1940’s. Very nice photo shows how beautiful Art’s car was. Some time later the car was redone in metallic Bronze and the unique padded top with three piece panoramic rear window was added. The car was featured like this in the May 1950 issue of Hot Rod magazine. In the mid 1950’s the car changed hands again and it ended up on the east coast. 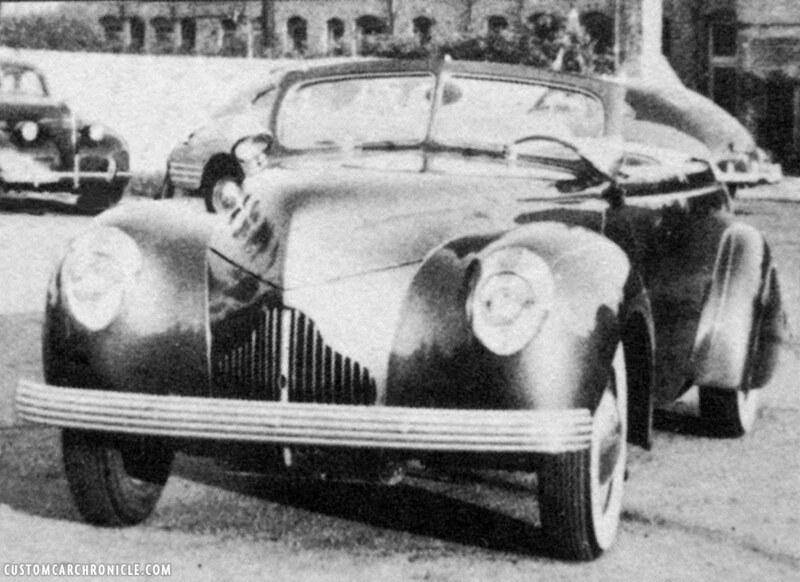 During this time the car was damaged in the font from an accident and the front end was replaced with that of an 1940 Ford all modified to fit the channeled ’39 Ford. The bumpers were replaced with 1948 Ford units and the car was repainted a 1950 Ford Sportsman Green color. In more recent years the car was fully restored to this last – mid 1950’s – version. This is how Art’s car looked in the early 1950’s this photo gives us a beautiful look at the three piece panoramic rear window in the padded top. Some sources mention that the top was created by Runyan, others claim that the Carson Top Shop created the top. By then the Spotlight were gone, and an Chevy license plate frame was added to the rear bumper. 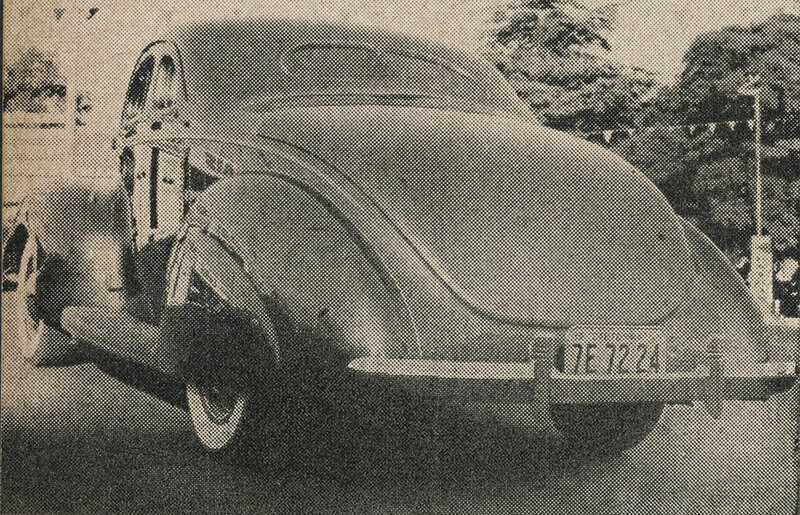 The car was featured like this in the May 1950 issue of Hot Rod magazine. 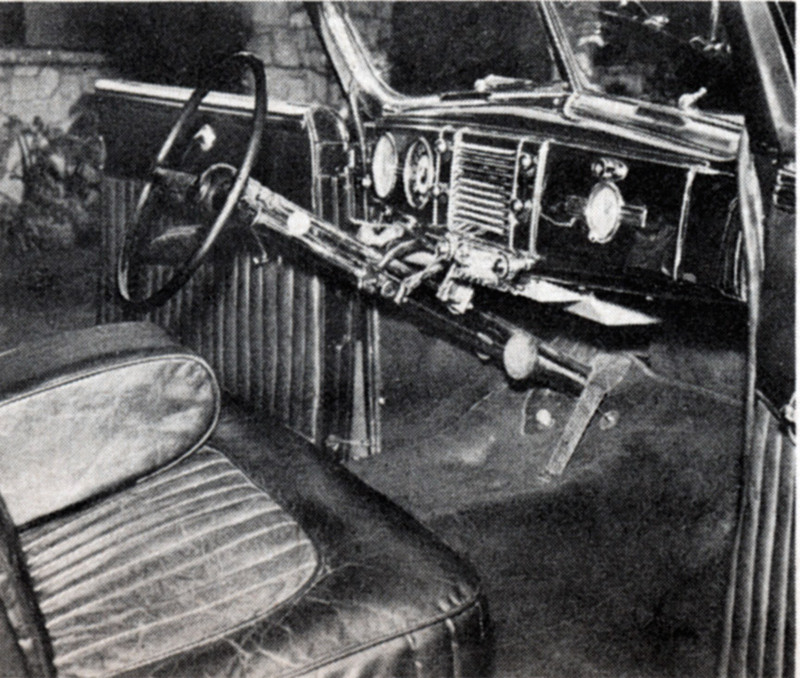 The interior was beautifully done in comfortable leather by Runyan. This is how Art’s ’39 Ford looks like in 2017. 1940 Ford components were added to the car in the 1950’s after some damage to the front. New bumper, lipped skirts, fender guards and Sombrero hubcaps were added in a later restoration. The original panoramic rear window padded top is long gone. 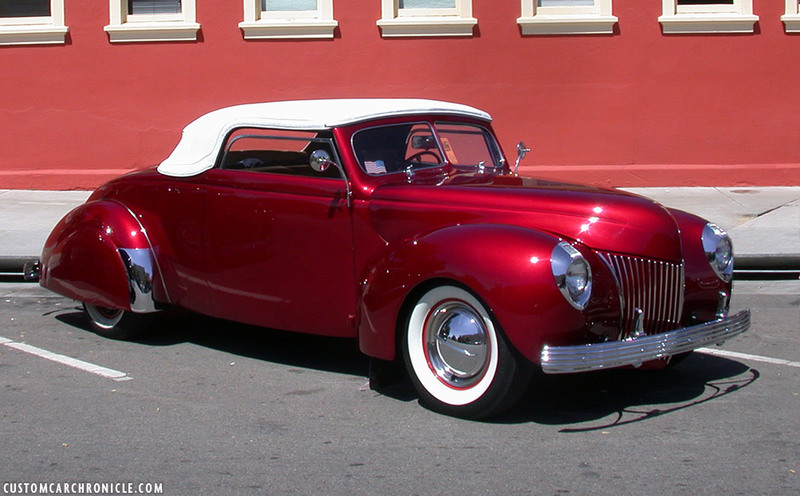 Both Jerry and Art started with the ame ’39 Ford Convertible but Jerry restyled his ’39 Ford a little bit different than his business partner Art Lellis. Jerry channeled his car a little more than Art did, 6 inches, and just like Art, Jerry also raised the front fenders a bit more in his car. The hood was sectioned to with the new higher front fenders and new position of the grille. Jerry also removed the running boards on his car and reshaped the bottoms of the fenders for a nice finished look. The windhield was chopped similar as Art’s car, three inches, and all the handles and trim were shaved off the car. Jerry kept the stock Ford bumpers, and also decided to go with no skirts on the rear fenders, to create a more sportive look for his car. With all the body work done the car was painted a bronze gold metallic paint. 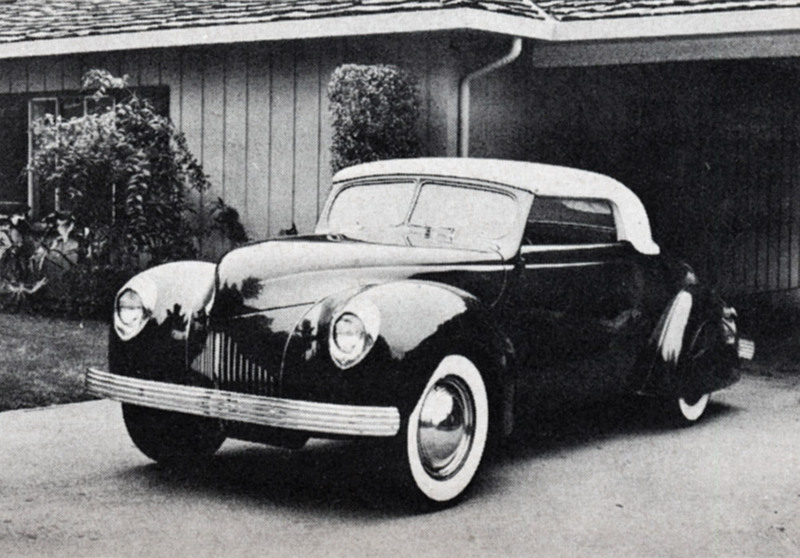 Jerry’s ’39 Ford was channeled similar to Art’s but the lack of fender skirts and stock grille gave the car a completely different look, more sporty. In 1969 Frank Weeks of Glendale, California found the car being advertised, and bought the car, which was in sad condition at the time. It would take until the early 1990’s before Frank started to restore the car back to how he remembered the car as a kid seeing it in front of the Olive Hill Garage. With the help of telented Customized Scott Guildner the car was completely restored and along the way a few changes were made. Including DeSoto bumpers, rock shields on the leading edge of the rear fenders, and the most obvious, the candy red paint. The late Frank Weeks with the help of Scott Guilder restored Jerry Moffat’s 39 Ford. 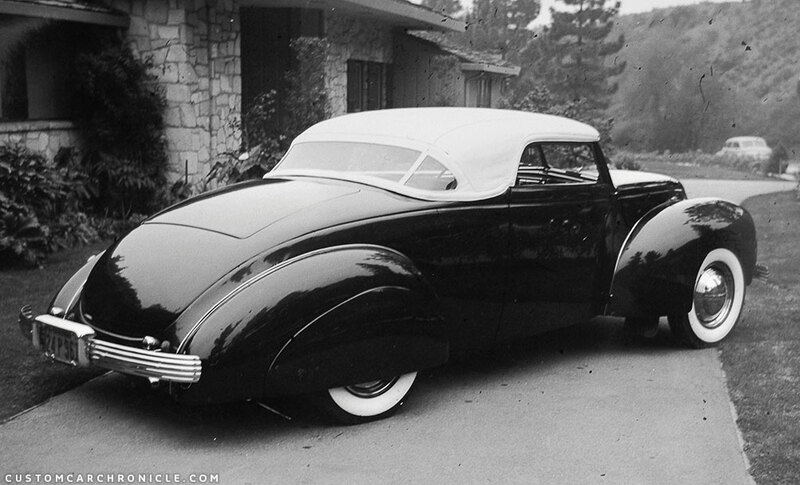 Some changes were made, which include fender skirts, roch shields on the rear fenders and ’37 De Soto bumpers. Cruz Palma is the current caretaker in 2017. The freshly restored Ford at one of the famous Paso Robles Custom Car Shows. The car looks fantastic on the road, and gives a bit of an impression how fantastic it must have been seeing both Art and Jerry’s ’39 Ford together in 1940’s Los Angeles. The third Olive Hill Garage Custom we know about it a beautifully chopped and restyled 1940 Ford for owner John Williams from San Francisco. The car sports a lit of very elegant modifications, including Lincoln front bumpers, ’40 Mercury front bumper on the rear with super clean taillights mounted inside the ’40 Mercury bumper guards. Peaked hood and shaved body, but with the belt line trim left in place. We have no information of the color of John’s Ford, and also have no idea what happened to it, or if it is still around today. 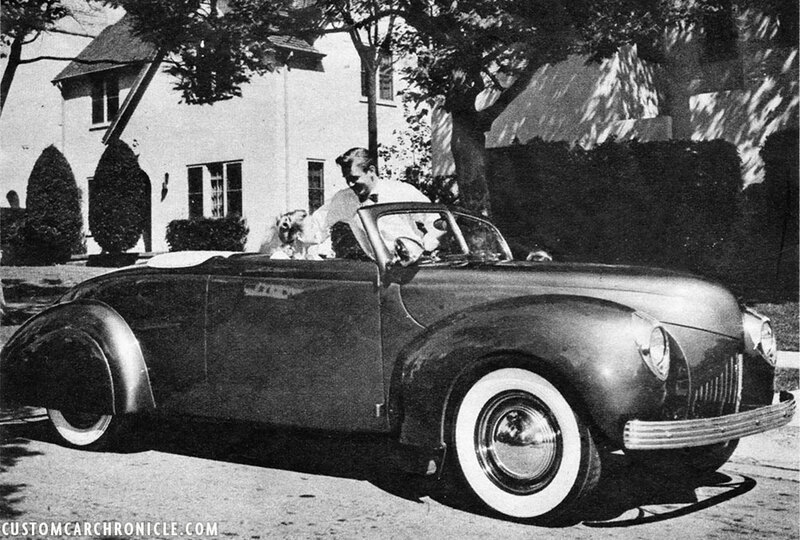 John Williams 1940 Ford as pictured in an 1949 issue of Hot Rod Magazine. 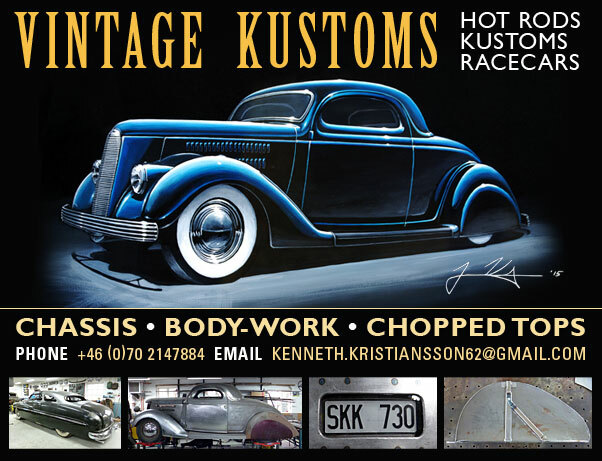 1940 Ford Coupe’s are hard to chop, but it looks like Art & Jerry succeeded very well on John’s ’40 Ford Coupe. Looks at that super sharp peak on the hood of John’s Olive Hill Garage created ’40 Ford, it goes very well with the sharp lines of the Lincoln bumpers. Notice the “For Sale” painted on the passenger windshield glass! This image was published in the Trend Book #101 in 1951 and it is the only place where I have found the name Olive Hill Garage so far. At the rear of John’s Ford the stock taillights were shaved completely fr an ultra smooth look, all handles were also shaved, but the drip rail was kept… which must have been much more work to make it flow with the new chopped top shapes. According the photo caption new taillights were created by cutting the grooves of the ’40 Mercury bumper guards, which are mounted on a ’40 Mercury front bumper. 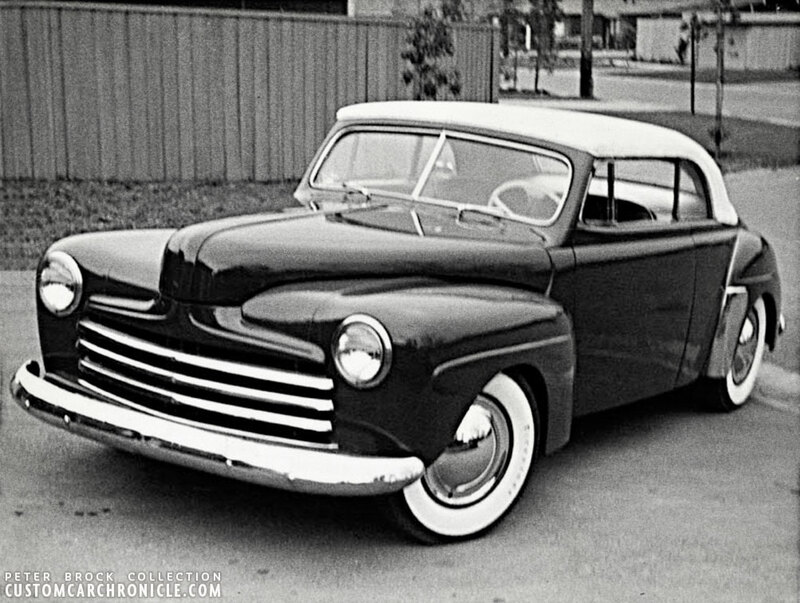 This ’46 Ford is best known as the Peter Brock Ford, but the car was actually built for somebody else, and Peter bought the car, unfinished from the father of the guy who had ordered the car to be built at the Art & Jerry Custom Shop. We are not quite sure when the car was started, if it was in the late 1940’s or early 1950’s. 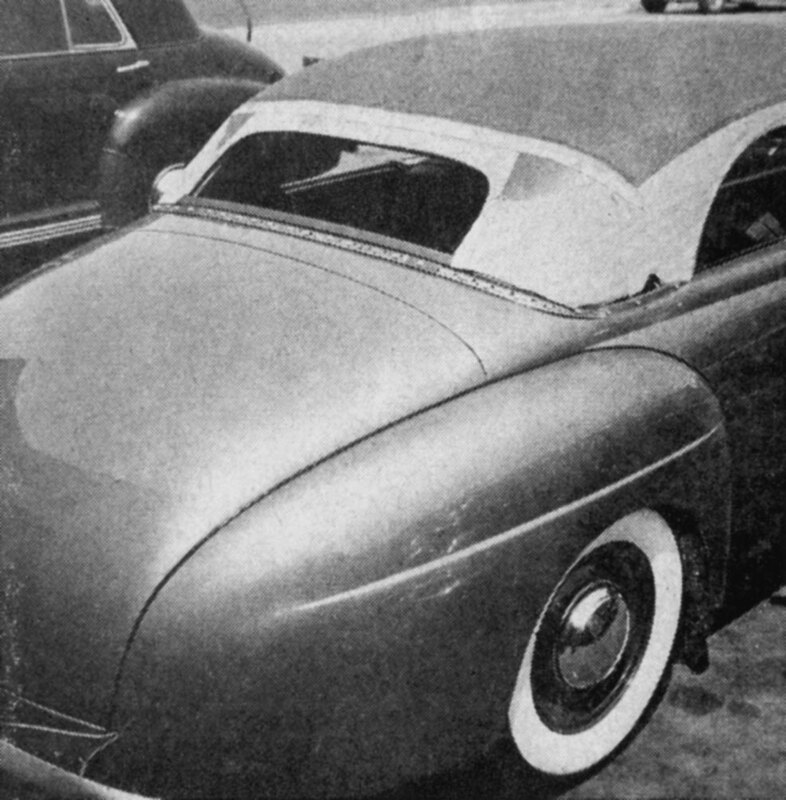 An in progress photo of the car appeared in the first Custom Cars Annual published in 1951. For a long time the car was believed to have been created by the Valley Custom Shop in Burbank. Peter Brock explains how that happened. ” Hi Rik…. To be brief on the story of my ’46. I bought the car half finished off a car lot in San Francisco. The story. From the salesman, was that some guy who had started the car went to in the army, was to Korea and killed over there. His dad sold the car, probably on trade in, to the dealership. I don’t know if this story is true or not, but that’s what I was told. I tried to get as much info on the car as I could but living in Northern California no one knew much. When I checked around with friends in So Cal they pointed me to another car that had been built by Valley Custom that was designed and constructed in the same method. (edit, most likely the Ralph Jilek 1940 Ford Convertible) With no other builders that I knew of at the time I assumed the Valley Custom had done the job. If I had lived in So Cal it might have been easy just to go there, but I didn’t. The photos you have obviously prove the that Art and Jerry built my car. Picture from the 1951 published Trend Book #101 Custom Cars. It shows the ’46 Ford in progress, almost done, with the bodywork all done and the work on the top started. 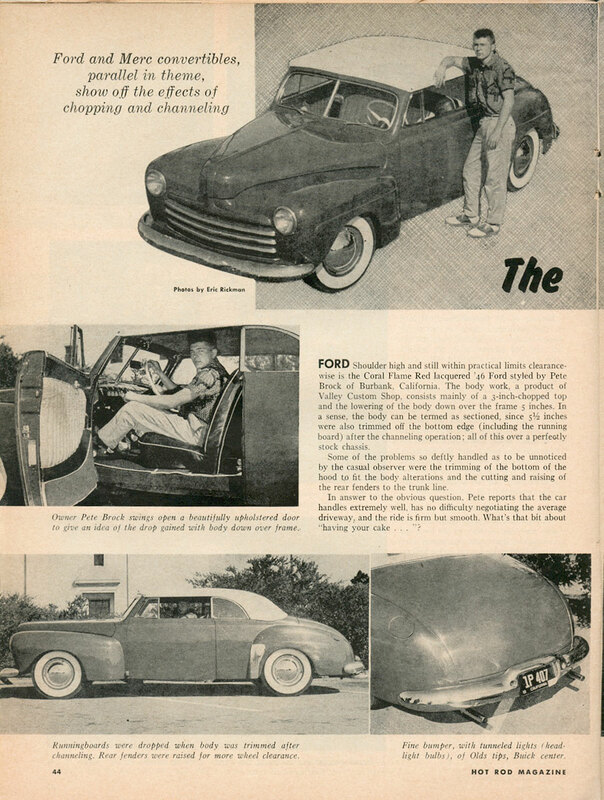 The photo caption read: CUSTOMIZED Ford by Art and Jerry’s Custom Shop has removable fenders sealed into body with no lead being used at joining areas. This photo of the car finished by Pete Brock shows how ell balanced the work was done by Art & Jerry at the Olive Hill Garage. A very elegantly restyled Custom. In an later Hot Rod magazine feature article it was wrongly reported that the car had been created by the Valley Custom Shop, information we now know came from the owner Pete Brock. The article shows how well Pete had done the job of finishing the car after the Olive Hill Garage had done the majority of the work. Especially the new bumpers Pete added to the car enhance the body lines of the Ford. Later in the mid 1950’s Pete further modified the car with a very much race car influenced look. The current whereabouts of Pete’s 46 Ford Convertible are unkown. Four cars created by Art Lellis and Jerry Moffatt at the Olive Hill Garage is all we have been able to find. Judging these high quality and well designed Custom Restyled cars I cannot believe there were not more cars created by this shop. Or at least specific modifications done there. These four cars is basically all we know, we don’t know when the shop was started, at least in 1946, since then they created their own ’39 Fords, and when the shop closed is as much as an mystery. Thanks to the Hot Rod magazine add we know the location of the shop, and have found some old photos from the location, but it is hard to tell where the shop was exactly. So far no photos of the actual Garage have surfaced. 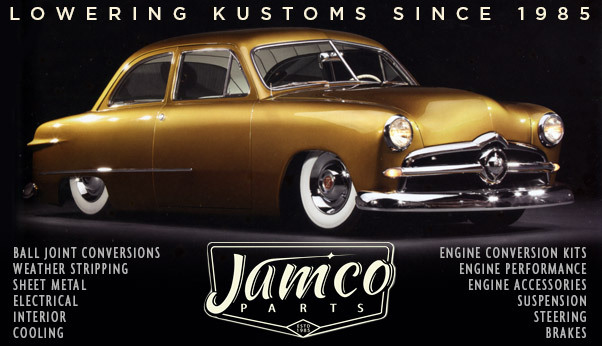 If any of our readers has more info on the Olive Hill Garage, Art Lellis, or Jerry Moffatt, please email Rik here at the Custom Car Chronicle so we can shed some more light on this bit mysterious body shop that created some very high quality and beautiful Custom Cars in the 1940’s, perhaps early 1950’s. 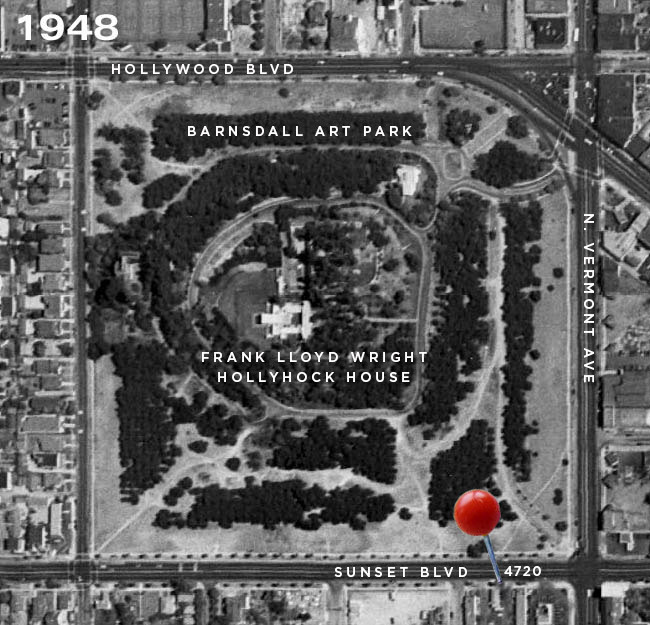 Barnsdall Art Park and the Frank Loyd Wright Hollyhock house that was built close to the Olive Hill, hence the name Olive Hill Garage. On September 13, 2010 I received an email from GE Moffatt with the title: Chopped and Channeled a pair. Jerry Moffatt 85 and still like the car shows. The email was send to my amail address connected from my old Custom Car Photo Archive. The sad thing was that the email was completely empty, there was only the title. I replied to the email several times, but never got a response back. I so much would have loved to talk to Mr Moffatt and hopefully he could shed some light on the “mysterious” Olive Hill Garage, or the Art & Jerry Custom Shop in Hollywood, back in the 1940’s and possibly the 1950’s. I hope somebody else did talk to him about the shop he ran, and hopefully those stories can be shared here on the Custom Car Chronicle in the future. 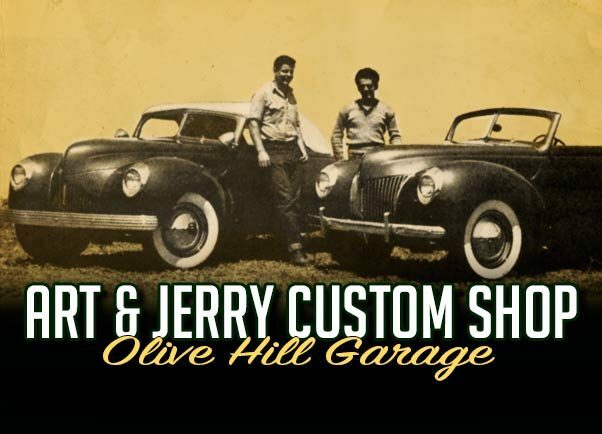 So if you know more about Art & Jerry, the Olive Hill Garage or anything related, please email Rik here at the Custom Car Chronicle so that we can add it to this article and share it with the Custom Car enthusiast all over the world. Kudos again, Rik, on these treasures your bring to light. Through the CCC we continue to expand our views into that Golden Era of customizing, and our understanding of just how big a happening it was. Credit to the unsung craftsmen. Long live the CCC. 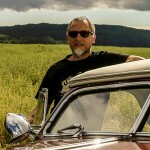 Great article Rik and beautiful cars. All very tastefully done. Glad that some of them have survived. These gentlemen were extremely talented craftsman with a great eye for proportion. Those ’39s are perfect and I can only the impression they must’ve made on folks driving by their shop. Thanks for the research, Rik, and for sharing their story. Wow, great article, thanks Rik. Interesting story about the mystery shop. Rik, your research and efforts to pull all of this together are outstanding. Thank you for keeping kustom history alive. It’s interesting to learn that Pete Brock’s Ford was done by Olive Hill Garage. I can see why it was considered to have been built at Valley Kustom, as their work has the same clean lines as Olive Hill. Both shops had such talent when it came to laying out the right proportions! They really made it look easy. I have seen the restored Ford convertible at Paso, but that chopped ’40 coupe is very interesting!